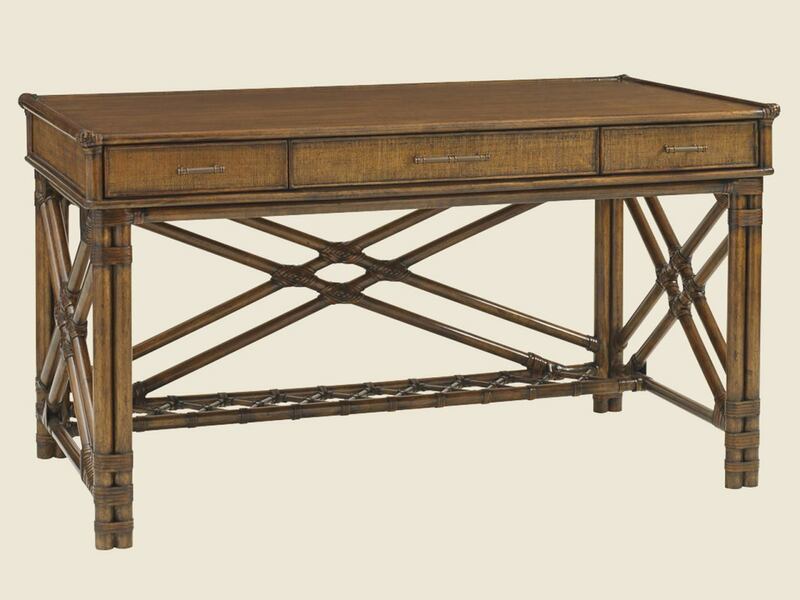 Offering exceptional detailing, this writing desk features woven raffia on all sides, leather wrapped decorative cross stretchers on the front and sides, and an optional box-of-drawers deck unit. The desk has three drawers with raffia fronts for storage. For additional storage, the Enchanted Isle box of drawers can be added which consists of four drawers and a decorative gallery of leather wrapped rattan.